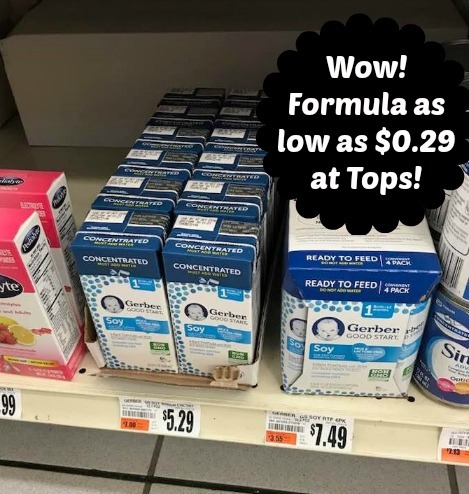 We have a new high-value Gerber formula coupon with no size restrictions and it makes for very inexpensive concentrated Soy Formula at Tops! Don't wait to print this one as I'm pretty sure it will not last! Even if you personally don't need this, consider donating it to a shelter or a friend/family member that could use it.